This April Fool's Day, learn professionals' secrets for detecting lies. A ripple of tension flits across a politician’s face during a national debate. The captain’s eyes betray fear as his team’s lead dwindles. Lovers search each other’s faces anxiously, trying to decipher grievances bubbling beneath the surface. We read facial cues all day, every day, whether consciously or not. But some individuals have made the art and science of “reading people” their profession. In honor of April Fools' Day, ABC News' HealthLab is investigating the science behind lies and deception with an all-day live-stream event, featuring everyone from neuroscientists to private investigators and a physician-magician. 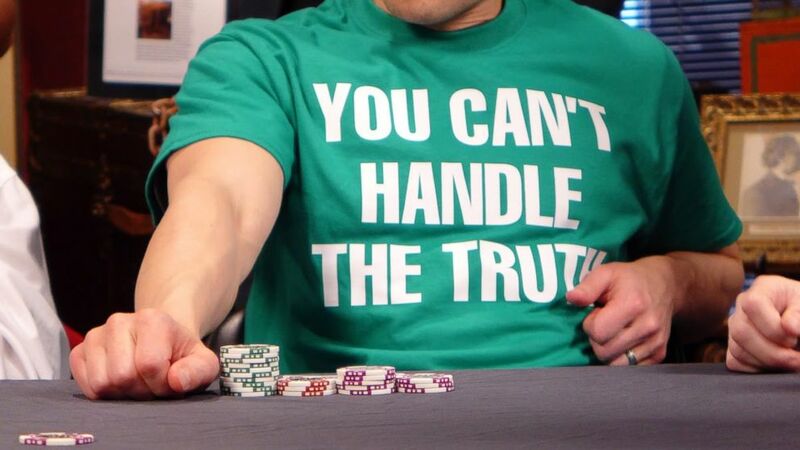 When it comes to detecting lies, you’ll hear mixed opinions on whether poker faces or polygraphs actually work. But the experts seem to agree on one thing: context matters. Psychologist Paul Ekman, famous for pioneering the field of “facial action coding,” has tested the notion that there are universal expressions -- like a wrinkled nose for disgust, or a coiled, tensed brow for anger -- that accompany emotions regardless of culture or geography. Dan Hill, who studied under Ekman, explained that most people can indeed spot core emotions -- like happiness, surprise, fear or sadness -- based on facial cues. But both Hill and Marc Salem, another facial coding expert who performs as an illusionist, emphasized that no matter how innate or universal, every behavioral cue must be understood in context. When someone is crossing their arms, he elaborated, it could mean that they’re anxious, uncomfortable and lying to your face. Or, it could just mean that they’re cold. He also noted that the form of communication we use the most -- nonverbal -- is the type we are least formally taught to use and recognize. But in his career as a researcher of human behavior, Salem has nailed down a few key strategies, particularly for detecting lies. Salem has applied his skills to weeding out biased jurors, designing television content for Sesame Street, and even detecting lies in his own children. Some professionals rely on more than just their own skills to detect lies: they bring in equipment, like a polygraph machine. When technology gets involved, context and behavior patterns become especially important. According to polygraph expert Ralph Nieves, polygraph test results do not meet the “Daubert standard” of evidence for federal court cases, meaning the scientific data is not sufficient to make it admissible evidence. But the federal government still uses polygraphs in a number of circumstances, and several state courts use polygraph evidence as well. Polygraphs detect a range of physiological metrics -- breathing, heart rate, sweat, muscle contractions, and blood flow, among others. Nieves, a retired detective who does federal defense work with polygraphs, explained that he needs to spend some time with a person before attaching them to a polygraph in order to effectively read their responses. It is only in the context of their normal behavior that he can detect aberrations, he said. Another important factor is that the subject must fear the consequences of lying for the test to pick up any relevant signals. Blake Eastman, who founded poker school “School of Cards” in New York, noted that a person’s whole behavioral history must be taken into account in trying to “read” them at a given moment. This is the problem, he continued, with technology claiming to detect lies: machines can’t quite keep such a wide lens. At least, not yet. Eastman is an expert at reading poker faces, but he also recently became fascinated with another application of the craft: the ability of doctors to read and respond to their patients. Dr. Lalit Chawla, a family medicine physician, also believes in establishing a good rapport with his young patients, to earn their trust and make their time in the hospital less traumatic. He has even used one of the only forms of deception that humans enjoy to his advantage to do so: magic. (Brent Foster) Dr. Lalit Chawla is pictured using magic as a tool to add laughter in the clinical setting. Chawla, who was a professional illusionist before going to medical school, remembers the first time he realized magic could be a useful tool with his patients. As soon as they entered, the attending physician got called out of the room, leaving Chawla alone with the patient. The silence was uncomfortable, so Chawla turned to his old friend -- magic. He pulled a coin out of his pocket, made it vanish, and then reappear. The patient was delighted. “She gave me a hug and said ‘bye magic doctor,’ when I left,” he said. The other doctor was floored. As a performer, he said, you also learn to read an audience -- a skill that transfers well to the clinical setting. “Doctors are always looking for little cues from their patients,” he said. For better or for worse, Chawla said that his youngest patients are the least prone to deception. “I think lying is something people kind of learn later in life,” he said. So, is there a secret to detecting lies and reading people? No. But as with learning to perform magic, practice can help. As we become more aware, we can better assess the “ploys” others are using to “deceive or convince us -- and what strategies we have to understand and decode them,” said Salem. It may be frustrating, but it’s what makes us human, he added. “One thing that separates us from animals is that we’re always making meaning out of things,” he said. Good luck staying a step ahead of the lies and trickery this April Fools' Day -- and don’t forget to tune in to Lie Day Friday streaming live beginning at noon today.